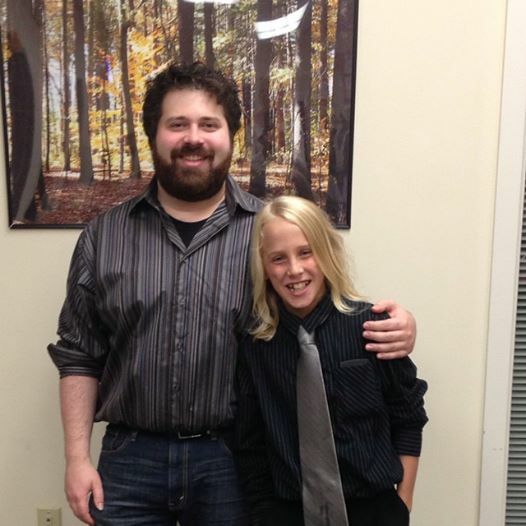 NCGS' First Student Solo Recital! NCGS is proud to announce that we'll be presenting our first Student Solo Recital. 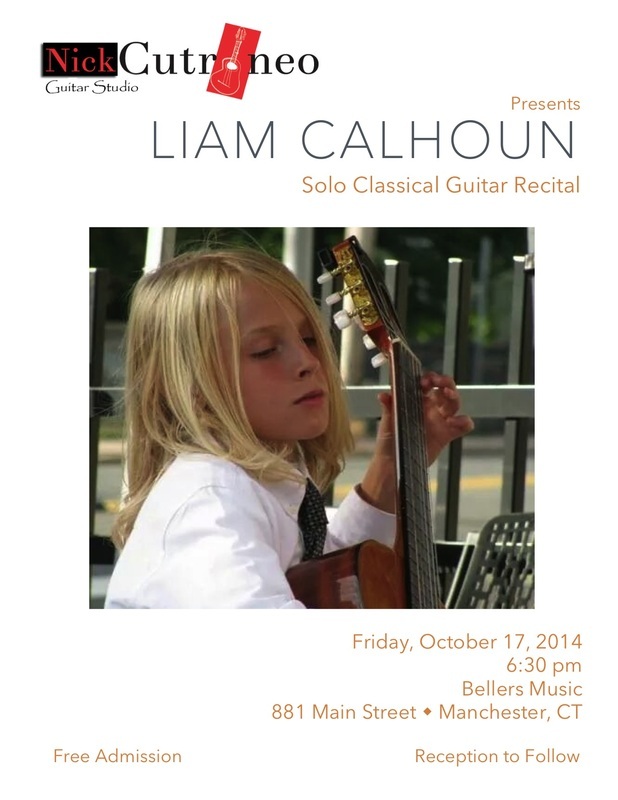 Liam Calhoun (NCGS student) will be giving his first full length solo classical guitar recital on October 17th, 2014 at 6:30pm. The concert will take place at Beller's Music, 881 Main Street, Manchester, CT. The event is free and open to the public with a reception to follow. Suzuki students have a tradition of performing all of the pieces they've learned in a given book upon graduation and moving to the next book. In Liam's case, as he moves to Suzuki Book 5, he will be performing selections from Suzuki Books 2-4. Please come join us in this wonderful celebration! Thanks to Beller's Music and the DuBaldo family for providing the venue and hosting this performance.